When you think of space you’re probably thinking of rocket scientists, astronauts with the right stuff, rovers roaming on Mars, or maybe just you’re thanking the weather and GPS satellites that give you important guidance on what to wear (will it be sunny or rainy tomorrow?) and how to navigate around town. 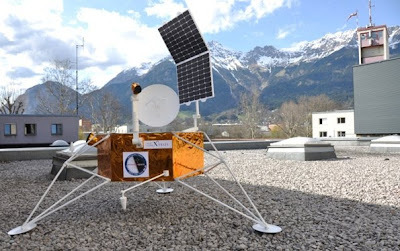 Once it was the ‘sciences’ that had to get creative to launch the space race and make our lives easier, now the world of communications and media is getting creative to carry us to the next step: Thanks to the Google Lunar X PRIZE (GLXP), space is a lot closer than you think. Teams from all around the world are competing in the GLXP and White Label Space is making significant progress in building the right know-how and new and exciting equipment for our mission, like our own rover from our Japanese Team, and a moon lander, pioneered and currently undergoing testing by our design team in Europe. WLS is now looking for bright marketing, public relations and creative sparks who see the potential of space and wish to participate. If you share the vision of WLS and can share it with potential sponsors and news outlets, then we want to hear from you. April 2001 - The Chairman of White Label Space, Dr Andrew Barton, visited Tokyo to participate in a number of events with the White Label Space Japan team members. The video embedded below shows footage from three particular events; a team strategy meeting, a social event at an Izakaya (traditional restaurant) and a visit to the supplier of the rover's mobility subsystem. Many small parts make the whole, and assembling a mission to compete in the Google Lunar X PRIZE requires the combination of many high-tech parts, in-house developments (like the rover developed by White Label Space in Japan) and sponsorship. White Label Space recognises that the foundations of nations’ economies rely not on large corporations, but on the millions of Small to Medium Enterprizes (SMEs). If you want to associate your SME with a truly exceptional 21st century endeavour, then for as little as €100 (tax deductible in some countries), you can sponsor White Label Space, become part of our mission, and receive a Certificate documenting your contribution. Naturally larger sponsor packages and exposure are available, yet for a small amount you can be part of something great - the next Space Race. Take a look through our website to learn more about us and how we're assembling our Google Lunar X PRIZE mission - your sponsorship contribution to White Label Space will leverage awareness of your brand far higher than anything on earth. Sponsorship via a Pay Pal donation can be made HERE. The Rio Tinto Mission was successful and a great experience to test WLS equipment and operations. Andrea and Carmen stayed in Rio Tinto between the 17 and 20 of April. Vasco stayed for 18 and 19. We had rain for the entire 19, and for the major part of the 20; the rain caused problems and delays to the simulation, and required us to cover the Lander mockup for most of the time. The guys from the Austrian Space Forum were really nice with us, and offered us equipment and support as soon as their busy schedule allowed them. During the 18, we had the chance to perform some tests using the Phileas rover with our camera onboard. Maarten came on 19: given the rain, we moved the Lander under a tent, and we filmed an interview with him. On the next day, even if Martin was working for Discovery Channel, he took some time to film our operations with the Dignity rover and the involvement of the WLS Lander during a simulated EVA. Despite the problems caused by the broken glass of the camera, the resulting images from the tests offer a good idea of what the final result could be. We shoot various test pictures, and then we shoot a sequence with the camera at various distances from the Lander (1m, 5m, 10m, 15m, 20m, 30m and 40m). 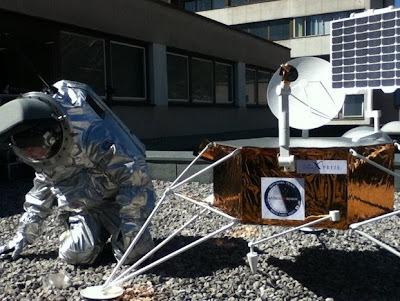 The Lander can be used as a landmark up to 40 meters: at this distance, even with the plastic cover, the metallic features of the Landers are still detectable with naked eye in the picture, and could be easily enhanced with image processing. We shoot a 5 minute movie while moving the Phileas rover around. The rover was damaged during transportation to Rio Tinto, and so we were not able to move on its own wheels. Fortunately we had the permission to carry it around by pulling it with a tether. On the April 20 we were allowed to use the Dignity rover to test a damage inspection scenario around the Lander. The dignity rover is similar, in size and dimension, to the White Label Space. So we performed damage inspection, exploration of the surrounding and sample manipulation. 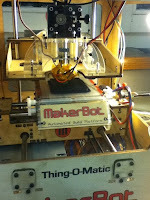 The operations were executed using the remote control in proximity of the rover. We also performed some remote manipulation from the Control Center using the rover camera: unfortunately the system was experiencing interferences and bandwidth problems, and so we were not able to perform safely remote movement. The Lander was also used by the Austrian Space Forum for a damage inspection performed by the suited astronaut. The entire sequence was filmed by the media present. The following video is from our test with the Lander and Dignity rover inspection, simulating the first minutes of operation of the rover after landing. This is a video by the Austrian Space Forum (OEWF) shows some testing activities at the Rio Tinto Mars Analog Testing earlier this week. The video shows an astronaut in the Aouda.X mars spacesuit driving ESA's Eurobot rover. The White Label Space lander mock-up is also visible nearby at the end of the video. First, we would like to express our sincere sympathy to all those affected by the Tohoku-Pacific Earthquake, Tsunami and following disasters. We have started collecting relief donations from 7th April 2011via “JustGiving”, UK’s first online fundraising service, for the affected people in Japan by the series of disaster. White Label Space Japan is the only team participating in the Google Lunar X PRIZE from Japan, which will award a total of $30 million in prize money to the first privately funded teams to land a robot on the surface of the Moon and operate specific missions. As a representative of Japan, we are leveraging our GLXP network with 29 teams participating from around the globe and collecting relief donations not only from Japan, but also the whole world. We will donate all collected funds to CIVIC FORCE, a non-profit association that provides prompt and effective disaster relief to large scale natural disasters in Japan. Public interest incorporated association in Japan "CIVIC FORCE"
※What is White Label Space Japan LLC ? The only team participating in GLXP from Japan, WLSJ is participating in the White Label Space team, founded in the Netherlands. 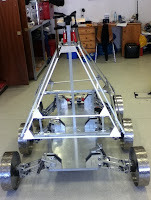 WLSJ is in charge of development of the team's Lunar Rover and PR in Japan. Civic Force provides prompt and effective disaster relief to large scale natural disasters in Japan. Currently it is transporting relief goods and experts by helicopter and trucks to the affected areas. Day one at the Austrian Space Forum Mars Analog mission. 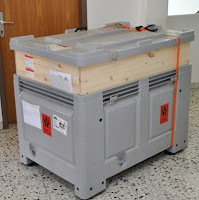 The White Label Space team had an early start with the unpacking and reassembling of the lander mock-up, and also with preparing the omnidirectional camera and setting up the software to process video and images collected. During the day we moved the Phileas rover around and took some pictures and videos near the lander - this time a "Mars" landing site. This photo of the White Label Space rover prototype's mobility assembly was taken earlier this week during a final delivery meeting at the supplier in Tokyo. The mobility assembly will now be integrated with the main body of the rover and testing of the rover protoype will start soon thereafter. Lightcurve Films is White Label Space's partner for video production. Lightcurve Films is a small film production company specialised in films about science and technology. The company has worked for institutes and agencies across Europe in the space sector (European Space Agency, Italian Space Agency, German Space Agency, French CNRS, European Planetology Network, Paris Observatory), medical sciences (VU Medical Centre Amsterdam, Dutch Thoracic Society) as well as for Discovery Channel Canada. Lightcurve Fillms received its first television credit with the broadcasting of the documentary Spiral Galaxy, in 2009. In this video interview Marco Ostini gives some insight into why Lunar Numbat chose to partner with Google Lunar X PRIZE team White Label Space. He also gives details and on the great work that his team are doing with the Australian Space Research Institute (ASRI) that also benefits White Label Space's Google Lunar X PRIZE mission.